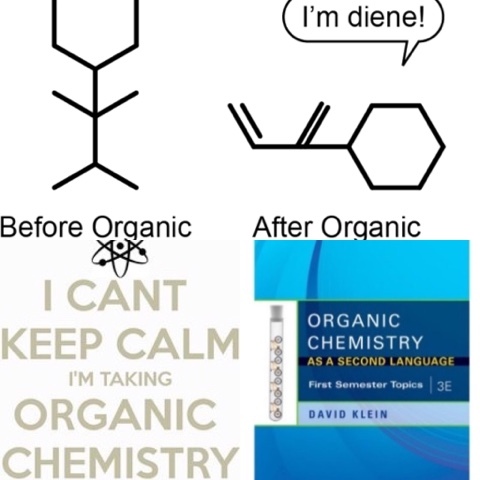 ORGANIC CHEMISTRY AS A SECOND LANGUAGE: ACE ORGANIC CHEM! I dare you to ask any doctor or medical student what their hardest course in college was... 9 times out 10, they'll tell you, Organic Chemistry. If there is anyone that has taken Organic Chemistry, then you can agree with me... it is the chemistry of Satan! Ok, so it's not that bad, but it is pretty difficult and unfortunately for me, Orgo and I didn't have simpatico until our second go'round. I will admit that it was easier because the material wasn't completely new, but when I entered my post-bacc last semester, I hadn't taken Organic Chemistry since my junior year (3 years ago) and I didn't completely master it then... but I can now confidently say, Organic Chemistry is my jam! And I this book totally helped, my first organic chem professor recommended it and I'm so glad I held on to it. Like the title suggests, Organic Chemistry is like learning a second language; the language of benzene rings, pKa, SN1/SN2, and nucleophilicity. If you read that and were like huh! don't feel alarmed. Orgo is a complete language of its own, and is unique from any other science I've taken, even gen chem. This book helps break it down into laymen's terms and I preferred it a lot more than Organic Chemistry for Dummies (which I also own) or even my textbook. I still absolutely recommend your textbook and your instructor of course, but if you're struggling this book explains and has problems to help supplement.